The formula is simple: air down when the pavement ends. 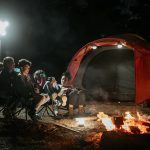 This step is crucial to a successful adventure and can be the deciding factor in whether or not you’ll drive through or be stopped on the trail. 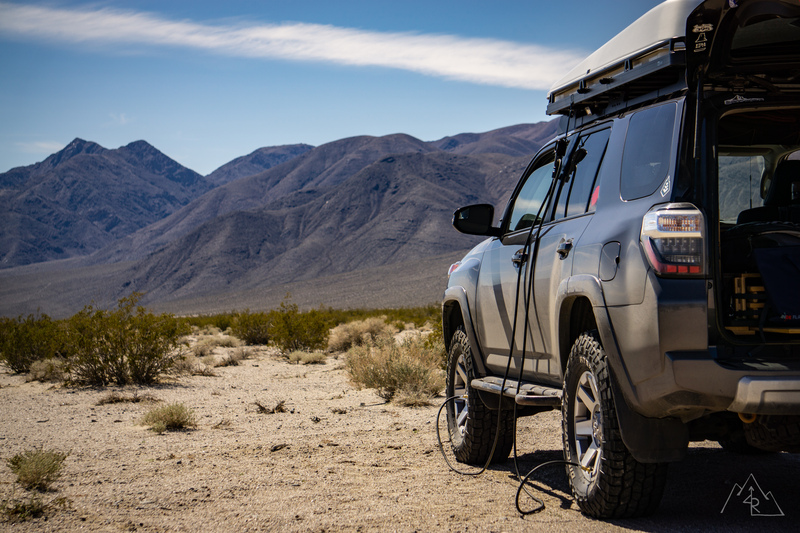 A lower tire pressure helps maintain the trail and your vehicle by absorbing bumps/washboards that would normally rattle you to death. 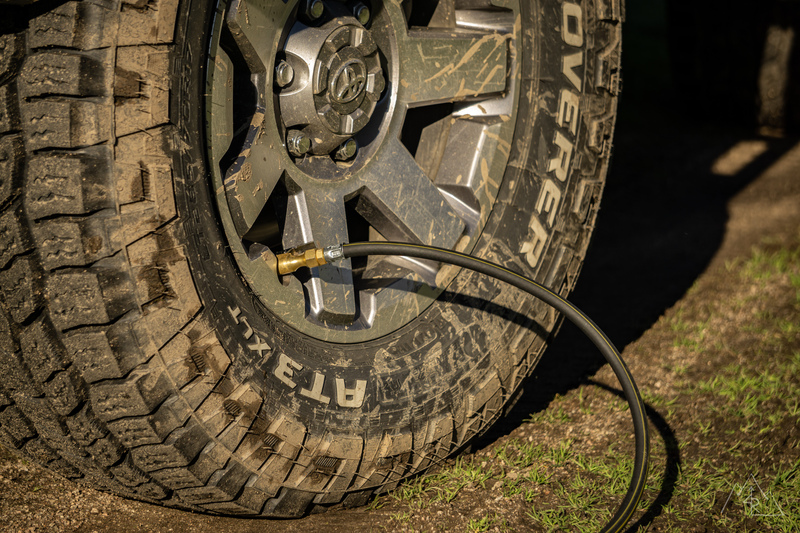 Something equally as important to airing down is getting back to highway pressure when it’s time to head back home. 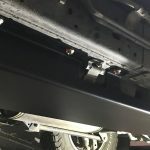 This improves vehicle handling/safety and reduces wear on your expensive tires. 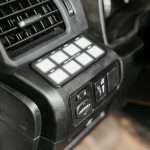 The air up/down ritual has a home with every off-roading enthusiast and like any ritual everyone has their own method. My method started with using any stick I could find to air my tires down and the closest gas station with a compressor at the end of my trip to inflate them back to road pressure. I evolved and upgraded to a rapid deflator and an on-board air compressor to speed things up and allow me to be self-sufficient when a gas station wasn’t around. 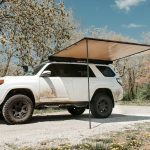 This combination has been one of the best upgrades that I have made during my time with the 4Runner because I use it every trip and it just works. 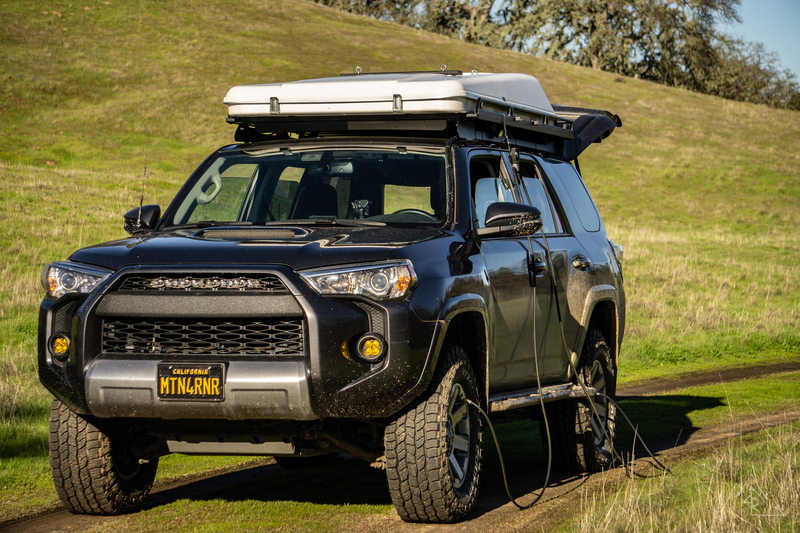 About 6 months ago when (according to social media) airing up and down became more of a status symbol with the introduction of complex manifolds and built in air systems that are capable of airing up and deflating four tires at the same time. I believe these systems are far too complex and limiting for what they can offer, and initially, I had no real interest. 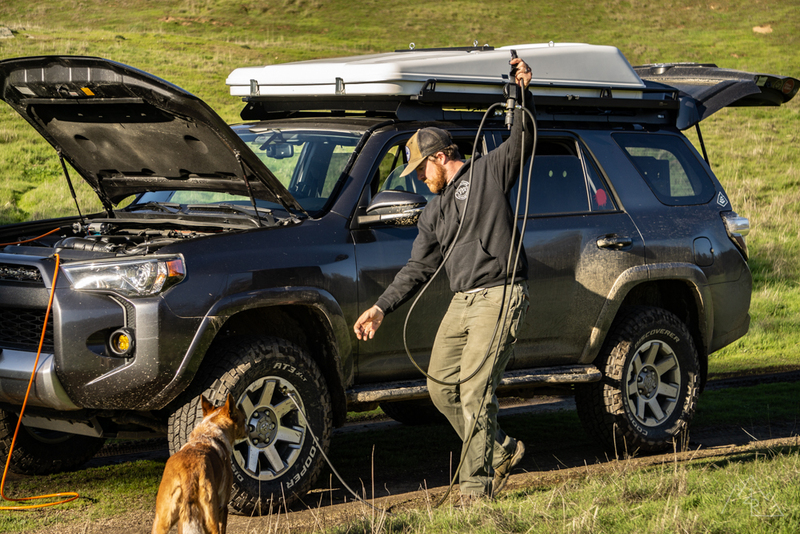 There are some benefits to the theory of airing up and deflating more than one tire at the same time that kept me looking at new products hitting the market. Time savings by reducing time “at the tire”, balanced pressures between tires on the same axle, and less fuss getting the job done. For those reasons, I always kept my eye out for the right product that would check the right boxes and not make a simple task more complex. 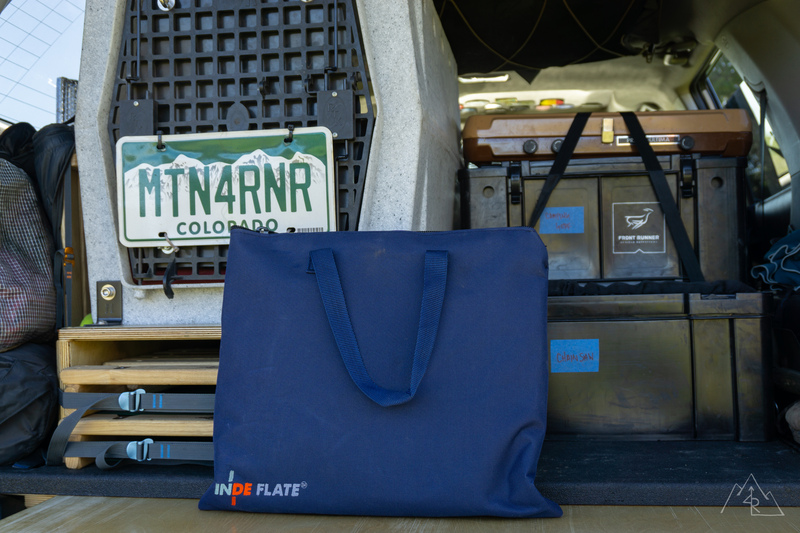 When I first saw Indeflate’s two tire inflation/deflation product and watched reviews on it from other parts of the world, it seemed to check boxes and keep things easy. I made a decision to try one out and after getting my hands on one, I can attest that boxes have been checked and I am happy to report that Indeflate has taken something that “just works” to another level. In a side by side comparison, the ARB E-Z Deflator took two of my 285/70R17 Cooper Tires from 40 to 18 psi in 3 minutes 23 seconds. The ARB removes the valve core from the stem to release as much air as possible. While effective, it takes time to screw on, unscrew the core, deflate, secure the core, and unscrew the deflator. So while it may dump air faster, it offers no real advantage when compared to the Indeflate. 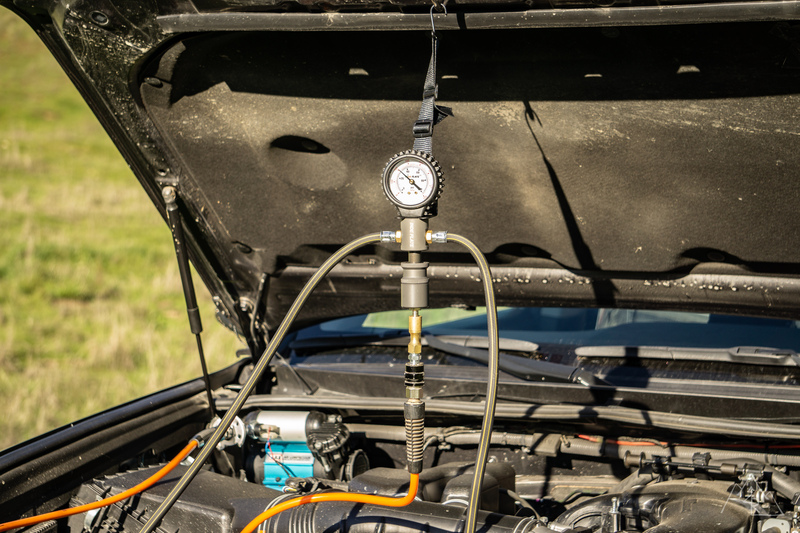 Furthermore, when conditions are bad (especially cold or muddy), using the E-Z deflator can be miserable because you cannot use it easily with gloves on and you have to kneel next to the tire the whole time. This means when it’s cold out, you’re cold. 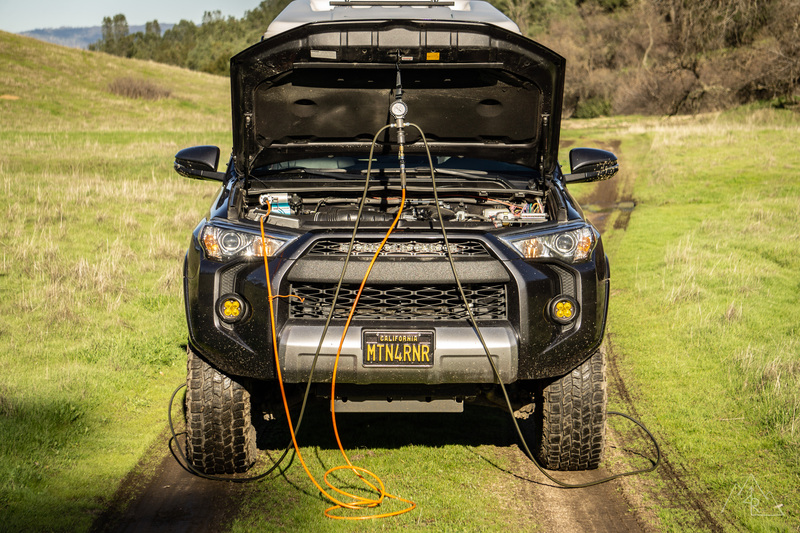 The Indeflate clocked a time of 3 minutes 29 seconds during the same 40 to 18 psi test, only 6 seconds slower than the ARB. But the biggest difference with the Indeflate is the way that you spend that 3 minutes 29 seconds. Because it doesn’t remove the cores from the stem, the time spent “at the tire” is minimal, maximizing hands-free time. 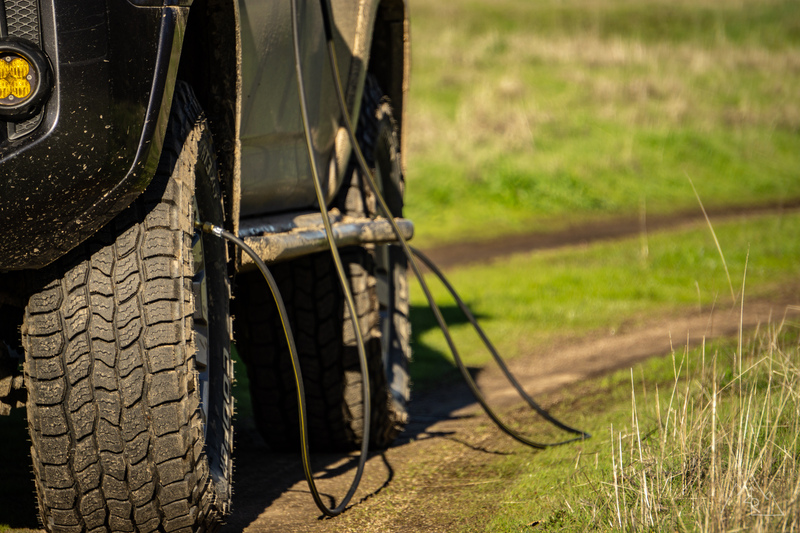 Clip on the heavy duty brass connectors to two tires, hang the main unit, slide open the patented dump valve and deflate. You now have 3 minutes to go about securing the vehicle for off-road travel, changing your HAM antennas, or doing one last vehicle inspection. 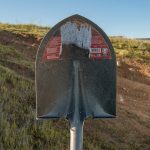 I find this extra time very valuable when I am about to hit the dirt, time that I didn’t have before with the ARB. 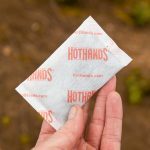 Also, unlike the ARB, the Indeflate can be used with gloves in cold conditions and doesn’t require you to kneel next to each wheel when deflating making it much easier to use in harsh conditions. 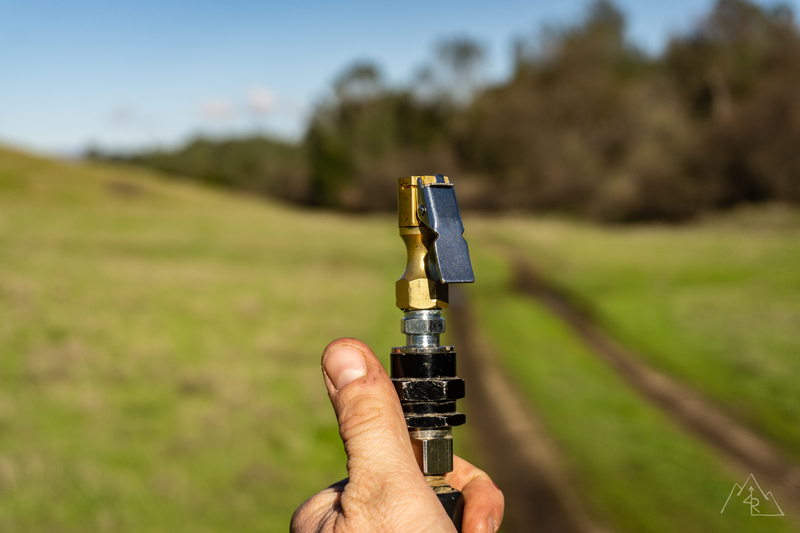 Slide the dump valve back to the closed position to verify tire pressures and you’re back on the trail. With on-board air available, I used to inflate my tires one by one using a single hose and a hand gauge to check pressures. It’s an entry level setup, but it works. I had a pretty good system down where I could inflate for about 2 minutes before I would start checking pressure. Then it was a game of inflate, check, inflate, check, too high, deflate, check… An involved process for a simple task. Using the ARB CKMA12 (single piston), I was able to inflate two tires from 18 to 40 psi in 7 minutes 15 seconds using my basic air setup. 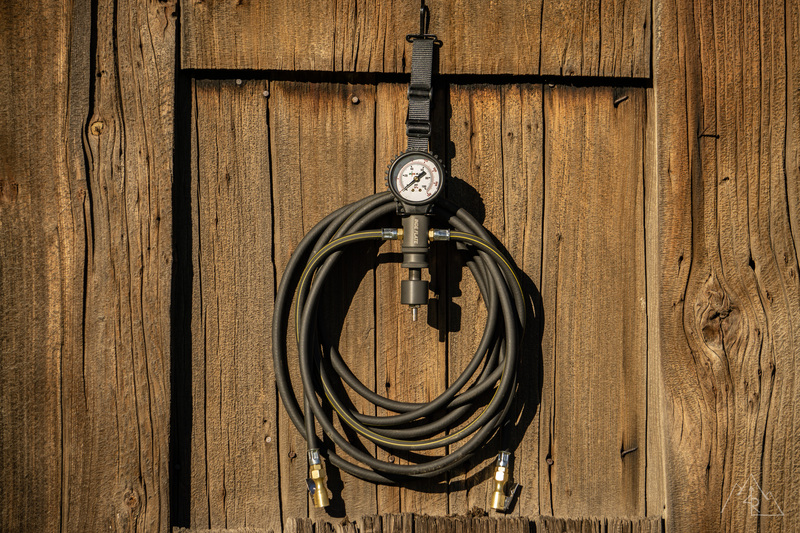 I knew compared to the Indeflate, any gained time would be due to less time spent at the tire monitoring pressure because the air compressor is the same for both set-ups. 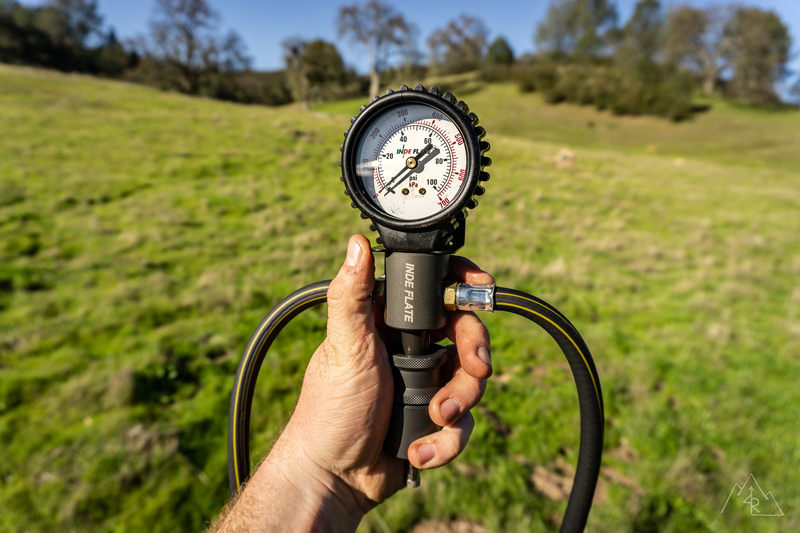 The Indeflate requires a hose from the compressor to inflate, but comes with an air chuck featuring the same heavy-duty brass connector to connect to the Schrader valve at the bottom of the unit. When I tested the Indeflate it exceeded my expectations by inflating the same two tires in 6 minutes 50 seconds. That’s almost a half minute faster than the tire by tire method, but it’s not the whole story on time savings. In that almost 7 minutes, I was only monitoring the pressure passively by looking at the gauge when I would walk by. 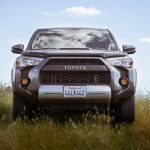 I would then spend that extra time looking over my 4Runner’s suspension and inspecting the tires for any damage I may have received on the trail. With the Indeflate, I had time to do other things while my compressor did its work. About 12 minutes worth of time when inflating all 4 tires. It’s a huge value when my schedule is typically behind due to me not wanting to leave camp and head home. Every minute counts, and the time saved by inflating more than one tire at the same time with the Indeflate was invaluable. One thing to note was that under pressure the Indeflate’s gauge registers about 2 psi higher than when it’s disconnected from the supply line. And if you over-inflate the tires, you can quickly slide the dump valve open to hone in your desired pressure. As a product of its design, the Indeflate is capable of a few more tricks. 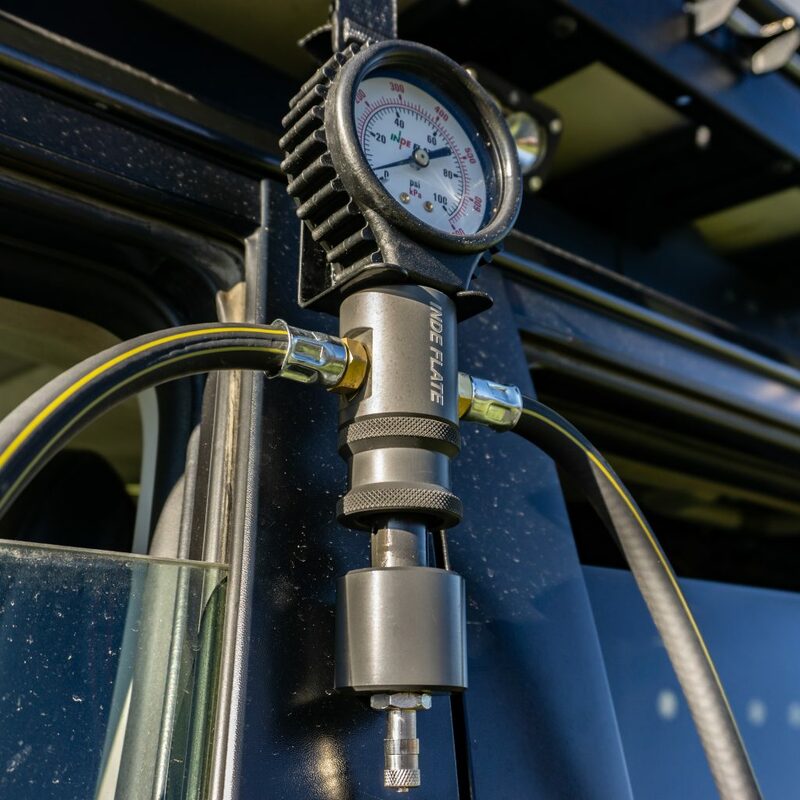 Because it equalizes pressures between two tires, it can transfer air from one with higher pressure to one with lower pressure until they match. 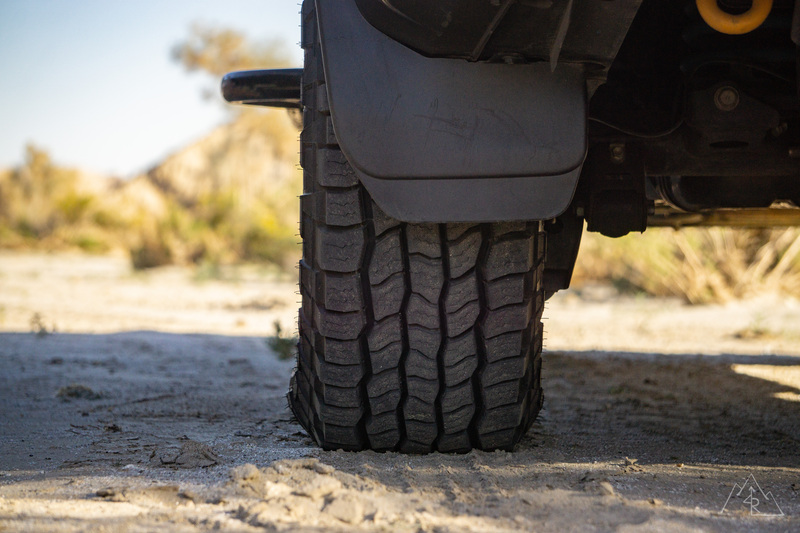 It allows you the ability to “air up” a tire without a compressor by using the other tires and the spare as reservoirs. 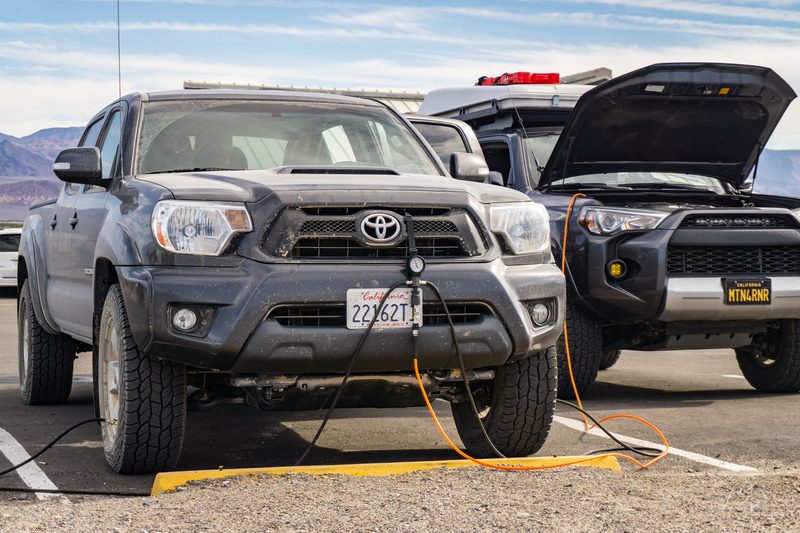 Seems like a good option to have if your compressor decides to stop functioning on a trip, and it might just be the product that saves you from calling a tow or spending time swapping out for a spare tire. Another function is the ability to use it on any vehicle or object with tires. 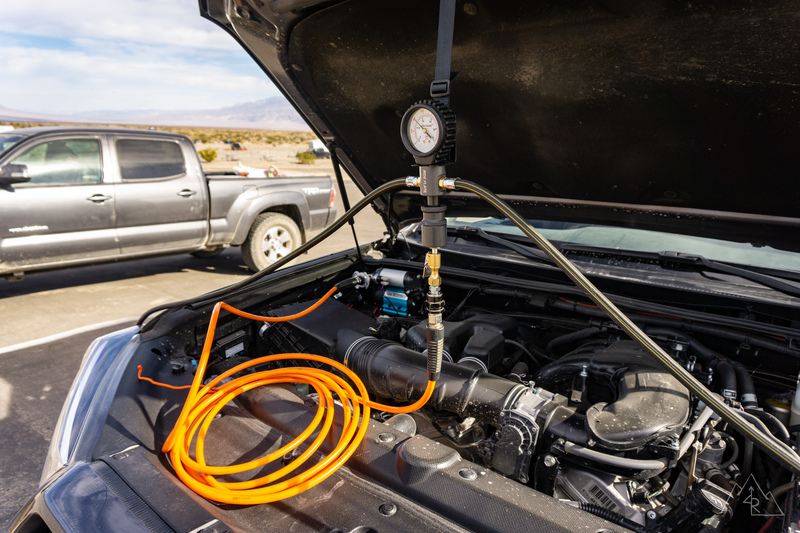 Unlike built in air units that are installed directly on the vehicle, the Indeflate can be used in multiple vehicles or trailers and can be easily used to air up your buddy’s rig after you’re done inflating yours. 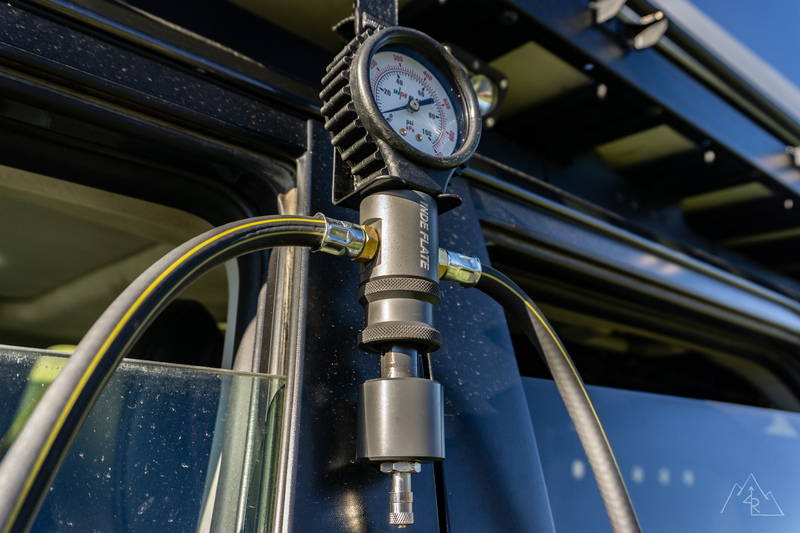 This added feature makes the investment more versatile because it’s not vehicle specific and works with any compressor or pump equipped with a Schrader connector. 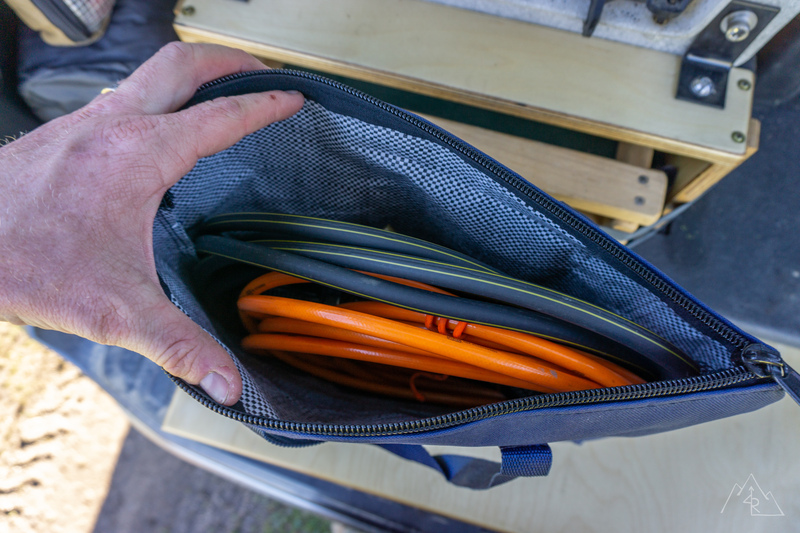 The bag that comes with the kit is stout, well-made with heavy duty fabric and zipper. Best of all it fits my supply hose, pressure gauge and the Indeflate with room to spare. 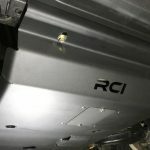 How often do you come across a product that provides a high quality carrier for their product? It shows how much Indeflate values its product and customers. My only wish is that there were some form of an internal pocket to hold smaller items closer to the opening of the bag such as the brass air chuck that comes with the Indeflate. I have been using the Indeflate for the last month or so on a couple of trips requiring a tire pressure adjustment. 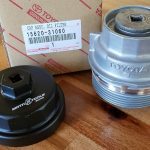 I have found that the addition of the Indeflate to the 4Runner has been beneficial and a huge improvement over my “it just works” set up because of the time savings and ease of use. 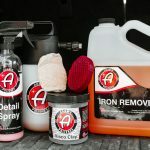 It makes changing pressures much more convenient, especially on longer trips when you alternate between dirt and pavement. The brass connectors are simple and consistent to use. The two 10 foot hoses are heavy duty rubber and hard to tangle. And the function of the main unit is refined thanks to its CNC machined aluminum body. It’s a winning combination. 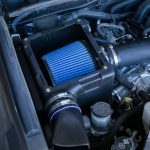 Had this product and a review of it been available when I took that first jump to upgrade my air system, I would have invested in it from the beginning. 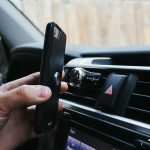 It’s not everyday that a new product comes on the market that makes a simple process markedly better. This is one of those products, and it’s going to be in my 4Runner for many seasons to come. To purchase your own Indeflate, head over to Adventure Imports, the exclusive importer of Indeflate products in the U.S.